Various reports stated that the franchise’s players were very unhappy at the uncertainty regarding the team’s coaching structure. The president and deputy President of the Western Province Rugby Union, group CEO and chairman met with the Stormers players and the director of rugby on Monday, to discuss the way forward ahead of the upcoming Super Rugby campaign and beyond. The Stormers players did not meet on Sunday, as reported in some sections of the media, and attended the meeting on Monday at the invitation of the leadership of Western Province Rugby. The meeting was arranged to address concerns arising out of several media reports over the weekend, regarding the future of the Western Province Rugby coaching structures. The meeting was fruitful and it was agreed by everyone in attendance that steps need to be taken urgently to resolve the uncertainty surrounding the future coaching and team management structures. In terms of good corporate governance, Western Province Rugby is currently discussing, strategising and planning the optimal coaching and team management structures for 2020 and beyond. This is being done now to retain and attract as many quality athletes into the future, many of whom come off contract at the end of 2019. Western Province Rugby Group CEO Paul Zacks said that the immediate focus remains the 2019 Super Rugby campaign and ensuring that the Stormers are as well prepared as possible to take on the challenges ahead. The Stormers management are hard at work preparing the players for the upcoming campaign. 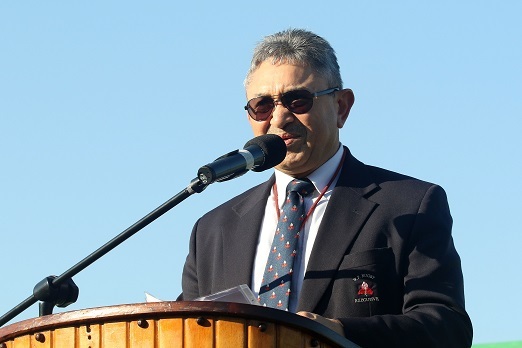 “The meeting between senior leadership of Western Province Rugby and Stormers players on Monday was constructive and it is encouraging as we are all committed to the future well-being of our professional teams. “While it is unfortunate that there was some misinformation in the public domain, we are confident of making meaningful progress to ensure that the Stormers and team management have the best chance of success in the 2019 season and beyond,” he said. Zacks added that, contrary to some media reports, Western Province Rugby has the full backing of all major sponsors. “We have got incredible sponsors who have stood together with us through thick and thin without exception. “Given the quality, depth and experience in our current playing squad we are excited about what we can achieve this season and are all looking forward to what the possibilities are for the Stormers in 2019,” he said.